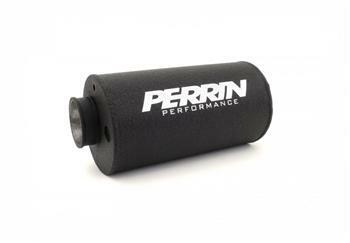 Perrin Coolant Overflow Tank - Pann Auto Performance - San Diego largest aftermarket automotive performance parts - What do you drive? The PERRIN Performance coolant overflow tank is protected from the elements by a black textured powder coating that matches all our intake systems, boost tubes and engine accessories. It looks great and makes the silk screened logo pop.